Cumbria is a huge county covering 6767 km sq. The geography incorporates six distinct district areas and over 260 parishes. This means that delivering a library service that is both county-wide yet responsive to local need is challenging. Our solution to this was to reshape Community Services. Back in 2015, we introduced a complete new structure to try to address the practicalities of running a county-wide library and archive service with over 60 library service points (including libraries, library links and book drops) and 4 archive centres within the need to maintain an overall county service. This reshaping was very much in line with the Council’s priority “to enable communities to help shape their local services…” and fitted with the model of area based working which we had introduced previously with an Area Manager leading on community based services in their district area and developing and managing local relationships. Area Managers work closely with the county councillors in their area, who in turn have decision making over issues such as library opening hours; so by bringing these services directly under the responsibility of Area Managers, the links between community services and local Members has been further strengthened. Area Managers each also have county-wide responsibility for a specific service or area of work such as libraries or registration to ensure consistency of approach. The library and archive structure was therefore changed from one based on a centralised service and leadership, to a model consisting of six Community Services Managers (CSMs), each line managed by their respective Area Manager. The CSMs are responsible for the operational running of the entire library and archive service in their district areas, and whilst the services still retain specialist roles such as librarians or archivists, we have also introduced a crossover role of Community Services Officer who work across both services, and also focus on delivering projects and community activity. 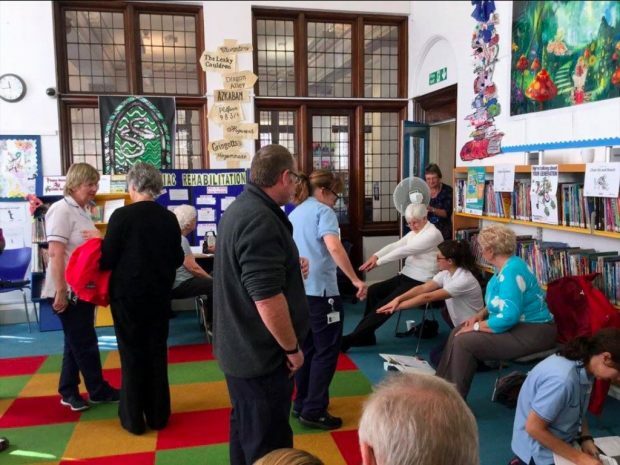 This flexibility in approach has allowed the service to not only become more resilient and share learning and practice across the discrete service areas, but also to have a clear progression role, with some team members already being successfully promoted to Community Services Officer from within the library / archive service. The new model, unsurprisingly, has brought its own challenges, perhaps the greatest of which is ensuring strong communication and the sharing of learning and good practice across the whole county, as well as maintaining consistent quality of service regardless of where you are in Cumbria. To manage this, peer groups regularly come together to share the work that they are doing and the issues and opportunities that are arising, as well as working together to ensure standards and policies continue to be up to date. The relevant Area Managers also work with the CSMs to ensure that they are taking an overview of the entire service and fostering good communication. The second main challenge we knew would arise from the restructure related to the learning and development of our teams, with individuals now working across both libraries and archives services. Through support from experienced colleagues, training opportunities, and in particular, given time, this has progressed well with strong teams becoming increasingly confident in their role and continuing to deliver great services to our communities in these challenging times. Our plans for the future? Have we got it completely right? I would say no; there is always room for improvement and development, but we have created a much more flexible integrated service that not only reflects the county in which we work, but also is really shaped around the communities in which we operate. This hopefully is a strong platform for us to continue to deliver our services from well into the future. In addition, each of the CSMs and our Reader Development and Stock Manager are going to be taking a lead role as thematic leads in the 7 key areas of Children, Health, Digital, Access, Reading, Culture and Economic Growth. An approach which we hope will help to continue to drive excellence and innovation across the whole service. 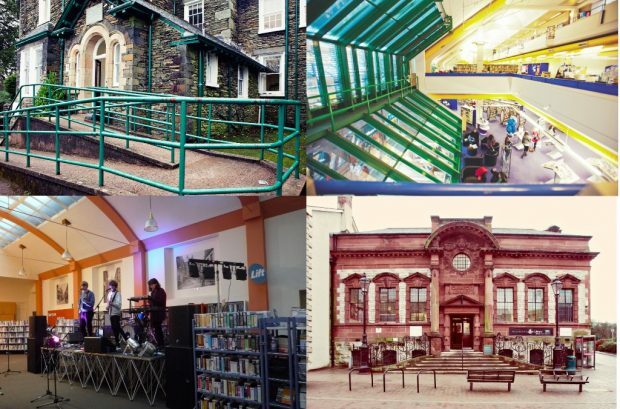 To keep up to date with activities in Cumbria libraries follow them on twitter or browse their website.